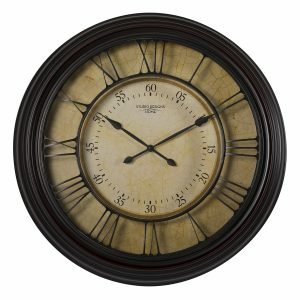 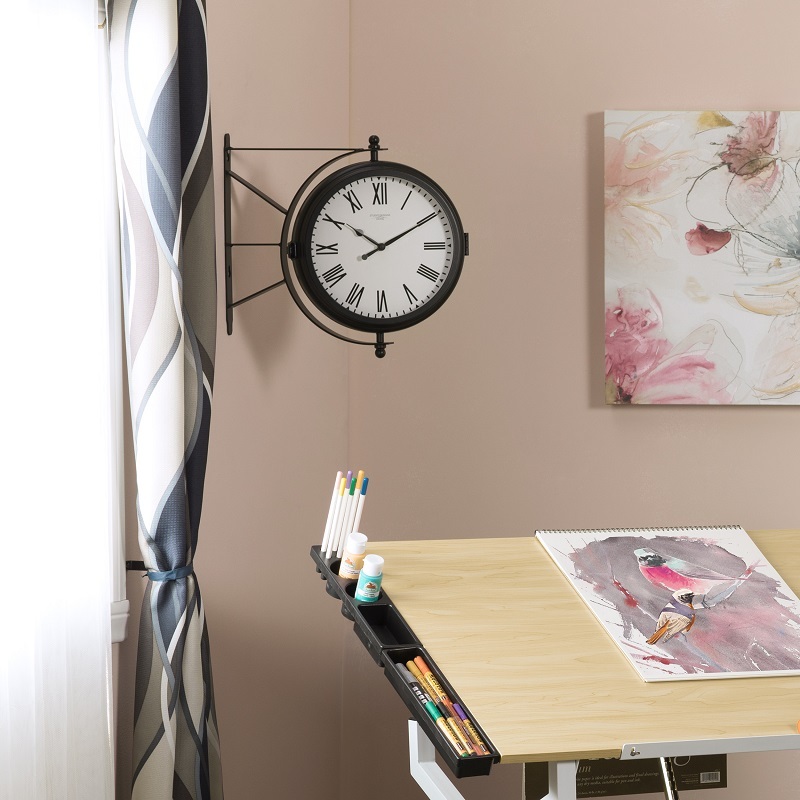 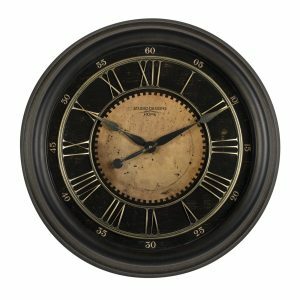 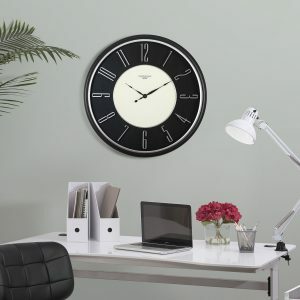 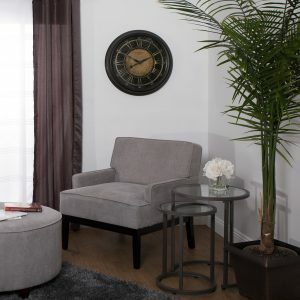 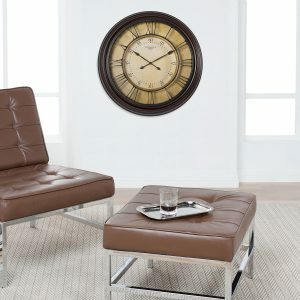 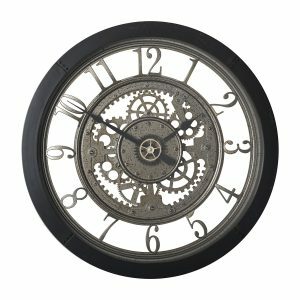 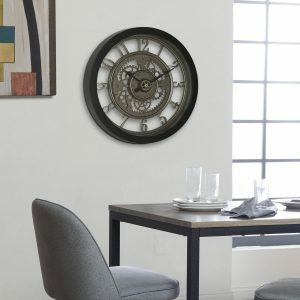 Perfect for a porch or patio, the Metro Station Wall Clock is crafted with a durable, metal bracket and frame. The clock frame is hinged and has a latch which allows access to the battery housing. 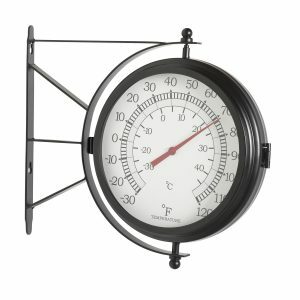 The classic dial thermometer tracks both Celsius and Fahrenheit degrees. 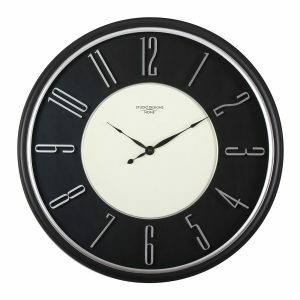 The clock face and thermometer dial can pivot to rotate a full 360 degrees. 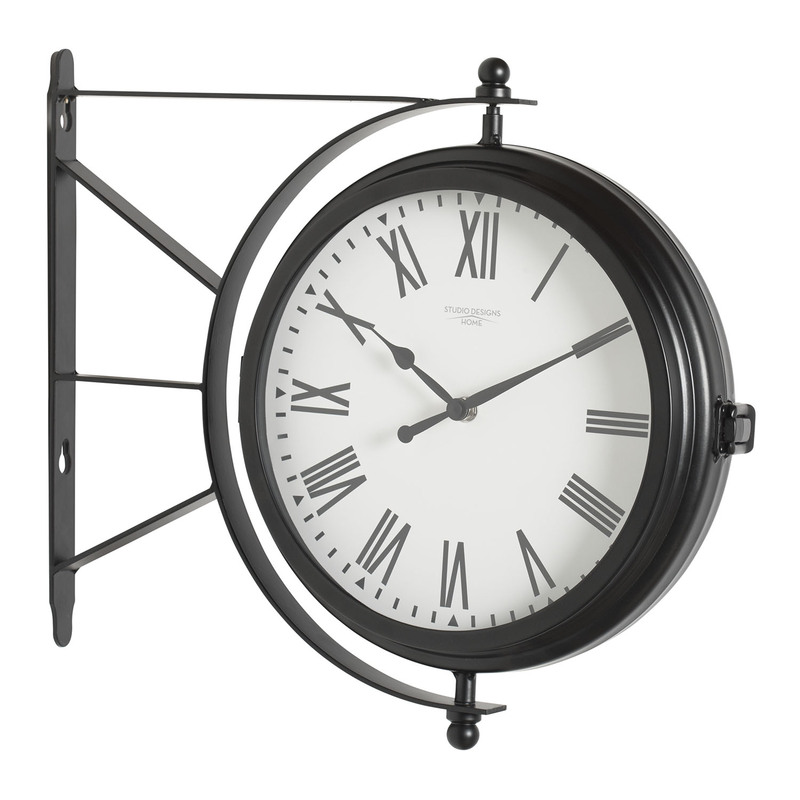 It's weather-resistant and recommended for covered outdoor spaces.